To begin with, let’s understand the meaning of SEPA. SEPA or ‘Single Euro Payments Area’ is a method of transfer to banks located in Europe. When users don’t find their country during SWIFT transfer, SEPA is an alternative method focused on the EU region. SEPA transfer is mostly preferred by residents in European countries and as of July 2015, it consists of 28 member states of the European Union. The board aims at changing the inefficiency of cross-border payments and aims at integrating fragmented markets for Euro payments into a domestic one. Customers can make payments and receive salaries using SEPA as long as they have a bank account in the eurozone. Cashless payments can be made in the eurozone region through a single set of payment instruments. In order to reduce the costs of moving capital funds across the European region, which is nearly 2% of total GDP, SEPA has implemented efficient standards, financial structures and instruments to enable economies of sale. SEPA Credit transfer: It allows for transferring funds from one bank account to another in the EU region. The payment will be credited to the recipient’s account within a day of deposition as long as the customer makes the payments within the time frame mentioned. SEPA Instant credit transfer: It provides the super fast and instant crediting of payees in less than a few seconds. SEPA Direct Debit: Direct Debit offers two separate schemes, namely, Core SDD and B2B SDD. Core SDD is targeted towards customers and all banks offering SEPA transfer is required to implement them. B2B SDD is primarily targeted towards business users and requires documents to be submitted to the bank by both creditor and debtor. Participation in this scheme is optional. Bank Identifier Codes (BIC) and International Bank Account Number (IBAN) will be introduced across the SEPA zone. The above-mentioned codes will be required whenever you need to send or receive money via SEPA. You can find your IBAN and BIC codes by contacting your local bank or checking a bank statement. Get a Bitcoin wallet: In order to transfer money to and from bank accounts, a Bitcoin wallet must be created. There are a variety of options, such as Bitcoin Core, Mycelium etc. Buy Bitcoin: For all obvious reasons, you must buy Bitcoin in order to make transfers. You can purchase Bitcoin with your local currencies, BTC is entirely digital and user-friendly. Enter your transfer details: Enter the necessary account details and amount to be transferred like in any other online bank payment. Pay: The Bitcoin equivalent must be paid with a small service fee. Money transferred: Upon receiving the amount, you will make a SEPA bank transfer within one working day. A confirmation email will be sent for your notification after a successful transfer. A Bitcoin exchange, Coinbase allows people to buy and sell Bitcoin with fiat money. It also acts as Bitcoin exchange and wallet provider. 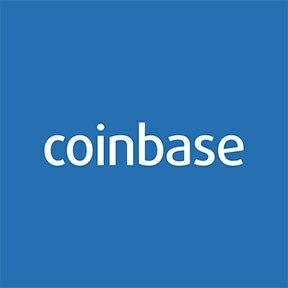 Founded by Brian Armstrong and Fred Ersham in 2012, Coinbase hs their headquarters in San Francisco, California, and provide services to customers in over 33 different countries. This estimate makes them the largest Bitcoin broker in the world. 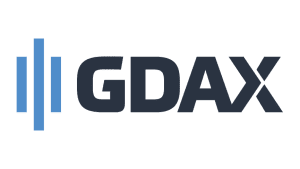 Global Digital Asset Exchange (GDAX) is a sister-exchange of and works in the same way as Coinbase, it records every transaction of not only Bitcoin trade but also other cryptocurrencies such as Litecoin and Ethereum. The advantage of GDAX is that it enables users to engage multiple trades without having to make a bank transfer for each trade which is time-consuming and adds delay. Money transfer options include credit, debit cards, and SEPA transfer. Coinbase requires you to add a bank account or credit/debit card details to your Coinbase wallet to enable transactions with higher limits. While selling Bitcoin, it will take 2-4 days for the money to be deposited to your account. For higher limit purchases such as $100/transaction, $2500/week, the website takes close to 4 days to verify the transactions, so do not panic if you don’t see money in your wallet immediately. However, for lower limit transactions, Bitcoin shows up in your wallet instantly. A recently included feature is the Coinbase Vault, which allows you to share an account with 2-3 users. All transactions will need approval from all users and they have a 48-hour delay as added protection in order to catch any unprecedented frauds. For total control, a multisig wallet is also available which has three keys shared between user and Coinbase including 1 for the user, 1 for Coinbase and the third shared key. So even if the website is down, the user has the option of 2 out of 3 keys to withdraw their money. Credit/Debit cards are the most common payment method used. Each transaction is made in Euros and is accompanied by several transaction fees, which is slightly higher in credit cards than for any other payment method. There is a lack of transparency because the service doesn’t show the exact percentage of fees required to be made and customers can expect to pay about 5% fees per transaction. Buying Bitcoin is an easy process where a user can select Bitcoin and three other cryptocurrencies, namely Ethereum, Dash, and Litecoin. Bitpanda uses 2FA for account security. 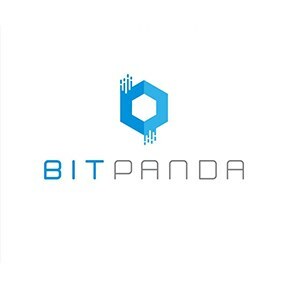 The founders of BitPanda limited its accessibility to only within EU and the service is unavailable in the US, primarily because they realized the lack of exchange platforms for European residents. BitSquare is a decentralized exchange that offers the traditional peer-to-peer method of transfer, where users can securely sell Bitcoin for cryptocurrencies and other currencies without involving a middleman. The software is not permeable to DOS attacks, thereby making it a safe platform for users to exchange money without the fear of frauds or other such threats. Since it is decentralized, it is much more private and BitSquare only requires you to reveal information to the person you are trading with which is also completely untraceable. Furthermore, all data sent via the network is encrypted. BitSquare does not store any of your funds but instead provides you with a digital wallet stored locally on your computer.To sell Bitcoin, the seller enters the amount of Bitcoin to be sold into his BitSquare wallet and makes his offer public. A small collateral of 0.1 BTC is required from both sides if a case of fraudulent occurs. BitSquare uses 2-out-of-3 multi-signature wallet including the buyer, seller, and a third party. The buyer can make their payment through a regular account or a SEPA transfer. If the seller has received the payment, the exchange will automatically confirm the transaction to the buyer. If the seller does not receive the payment or reports a case of fraud, the arbitrator or middleman will take evidence from both parties and on thorough inspection will sign off the transaction to the person with most credibility in their statement. The middleman is not a staff of the website, but rather a frequent buyer and is randomly selected for such cases. They are required to make a large deposit themselves to create an incentive to work ethically and are roped in to resolve issues that may arise between buyer and seller. Since its establishment is 2011, BitStamp has been the oldest and most respected Bitcoin exchange platform across the world. Best recommended for someone with experience in cryptocurrency exchange, they promise users a cost-effective method to trade in digital money for large amounts. Bitstamp was set up in Luxembourg is therefore particularly popular in Europe due to their well reputable and reliant service. It’s strong European base and effective integration of blockchain has made them a force to be reckoned with in the cryptocurrency industry. Despite their early head start into the field, their website is very technical and can be slightly sophisticated for beginners. Deposits can be made through bank transfers, SEPA, credit cards and even international money transfer. BitStamp charges a nominal fee for every transfer, trade or withdrawal made and is pretty cheap and affordable when compared with other agencies. The 0.05% deposit fee seems incredibly cheap when compared to other exchanges charging users up to 4% per exchange. Trading fees solely depend on the amount that is up for trade. The highest trading fees is 0.25% and is a practically negligible amount. BitStamp holds the majority of funds in cold storage which means that they cannot be hacked as it is stored offline. If one tries a quick Google search on BitStamp, a few headlines might possibly read ‘Scam or not‘ which is most likely the case with most competitive and leading organizations as people are always skeptical about cryptocurrency exchange. But on further review, the entire notion is dismissed quickly as BitStamp is held in high regards by customers across the world and has a huge follower base. Known to support only BTC/FIAT trading. 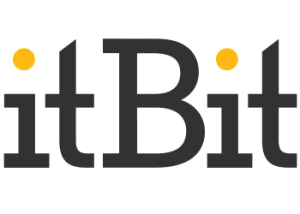 The .de extension suggests that this service is based in Germany and it isn’t a traditional exchange like Bitstamp and Bitfinex but connects buyers and sellers on an open platform similar to eBay. With Bitcoin.de, users can trade in Bitcoin ( BTC), Bitcoin cash ( BCH ) and Ethereum ( ETH). They are available all across Europe and the only currency supported is Euro. Deposits can be made using SEPA transfer which is accompanied by a trading fee of 1% while the express trading system has a 0.8% trade fee. Bitcoin.de has garnered a good amount of popularity and credibility owing to their partnership with Fidor Bank and strictly maintains allGerman regulations. Established in 2011 and based out of San Francisco, Kraken is considered to be one of the largest coin exchanges in the world based on the average trading volume of US and Canadian dollars as well as British pound and Japanese yen. Deposit and withdrawal methods include bank transfer and cryptocurrency. Kraken has a wide range of FIAT and cryptocurrency that most people can buy directly using USD or EUR. This avoids the hassle of buying BTC first and then using a secondary exchange to convert to other coins. Withdrawals are a fairly simple process and have a nominal fee of 0.19%. Like most other exchanges, Kraken also uses a 2 Factor Authentication (2-FA). Kraken divides its users into different tiers which decides the details for each deposit and transaction made by the user. Kraken is highly recommended due to its user-friendly interface, with an official iOS application. Android app exists, but it is unofficial. LocalBitcoins is best suited for dealers to meet as well as exchange Bitcoins. A hugely sought after feature is the several payment options available such as Cash on delivery, Paypal, Wire exchange, Western Union and so on. LocalBitcoins charges only a 1% commission from sellers. Escrow service – When the vendor confirms a successful exchange, the cash that is kept under the administration of Local Bitcoin escrow service is released. 2-FA – 2-factor authentication which sends an extra pin code sent to users mobile during every login to prevent account hacking. Secure login – If user logs in from a different web browser, email authentication is required. UK traders can trade directly using Coinfloor exchange platform with very affordable trading fees and enjoy the Coinfloors broker market who passes the trade on their behalf to desiring clients under a brokerage fee. Although this saves users the trouble of paying money abroad and international wire transfers, the broker fee is estimated to a 6% which is a hefty sum. They use a secure Bitcoin storage called Coinfloor Vault. Founded in 2013, LakeBTC has served in more than 162 countries with user credentials of 10 million accounts being made in the last 5 years. They accept several payment options such as Neteller, wire transfer, Paypal etc. Asia, Europe, Australia has the majority of users. LakeBTC uses a 2FA verification process and has also included a text message verification feature. Like Bitcoin exchanges, Paymium offers users to buy and sell Bitcoin while also providing a secure wallet option. Founded in 2011 and headquartered in Paris, France, Paymium was solely targeted on tapping into the European market. They only trade in Bitcoin with a trading fee of 0.59% of order amount. They use 2FA authentication, cold storage and SSL certificate of encryption of data as security measures. Another UK based exchange service, Safello is also a financial institution. They employ several payment methods, such as – SEPA, Swish, iDEAL, SWISH, primarily to European residents. They are a Hong-Kong based exchange and caters mainly to southeast Asian residents. They have a very nominal cryptocurrency trading fee of max 0.35% while FIAT trading fee goes up to 20%. They also use a 2FA, online and offline storage, email verification as security measures. Bank transfers are available in HKD, EUR and USD currencies. An exchange based in Austria, users can buy Bitcoin through SOFORT and SEPA transfers for Austrian traders. ID verification and proof of address are required for account creation. They offer ATM machine and online banking options for purchase. Anycoin Direct is another European exchange that engages Bitcoin trade through various purchase methods such as SEPA transfer for EUR transactions. In order to purchase Bitcoin, verification is required. Certain limitations are based on the days registered that grows with the durability of account. Based out of Switzerland, they offer online trading as Bitcoin ATM machine service. While SEPA transfers require ID verification, for privacy, one must resort to purchasing BTC via ATM. Their service accepts wire and bank transfer as well as SOFORT. Verification grants 1,000 EUR daily limit. 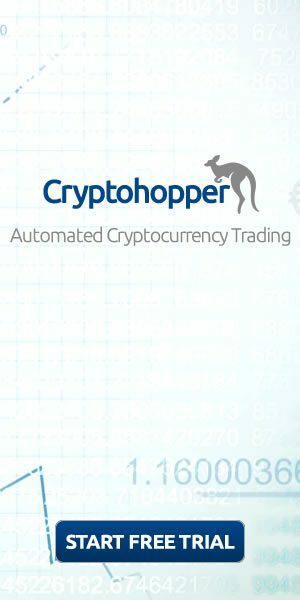 They are a British broker specializing in Bitcoin trade with a wide variety of accepted currencies. The transactions through SEPA is mostly free, except for a nominal 0.9% trading charge imposed on the trader. Limitations on purchase depend on the location of the trader and on the verification process using email, phone, and ID. The US-based exchange platform recently added SEPA transfer methods for clientele based out of US. Through limited purchase methods, the bank transfer does not add a fee and a nominal transaction fee of 0.2% is expected. Customers from Europe need legitimate ID verification. Yet another Bitcoin exchange based out of Hong Kong, ANXPRO operates in several countries including Europe. SEPA transfer is sought with a fee of 0.5 %. A trader is required to provide verification in order to buy Bitcoin from the broker. HappyCoins caters to European residents by including SEPA transfer for a fee of 8.5%. Traders can have good limits to purchase BTC, depending on verification provided. They offer several instant payment methods like – SOFORT, iDEAL, Interac and myBank. Signup to Happy Coins here! GDAX is one of the largest exchange agencies in the US. Connected with Coinbase, they offer various payment methods to both European and American clients. SEPA transfer is available at a very low fee of 0.25% which can further drop to 0.1% depending on trading volume. Another UK based exchange, CoinCorner offers a variety of payment methods like SEPA, Credit/Debit card, and Neteller too. Transaction fees are at 1% and full verification is required for SEPA transfers. CEX.IO added SEPA transfer for their US based customers in 2014. High limitations are offered for completion of full verification process. Buying BTC has a 0.2% fee and 0.5 EUR for withdrawing BTC. Minimum purchase is 200 EUR. And there you have it, the 22 best ways to buy bitcoin with SEPA transfer. We really hope that this guide has shed some light on the subject and that you feel like you can make an educated decision now. Good luck!